Building on the success and enjoyment of the two outdoor workshops I ran for Cumbria Wildlife Trust in May and July 2016, I'm also running another one in 2018! Gather at Mungrisdale Village Hall at 10am for welcome and introduction to the day. Then it's off on a very short car-share drive to Berrier and a day on Eycott Hill! Come and join me on what promises to be another inspiring day at Eycott Hill, Cumbria Wildlife Trust's Nature Reserve, Berrier, North Cumbria. Eycott Hill Nature Reserve is an inspirational place with fabulous views, unique geology, and interesting wildlife to spark the imagination. 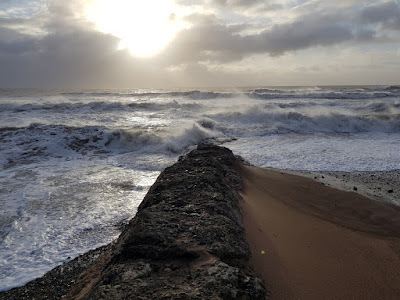 This creative writing workshop led by local writer Geraldine Green will use time outdoors and gentle writing prompts and exercises to help you craft poetry and prose inspired by the nature reserve. Geraldine is an experienced creative writing tutor, published poet, mentor and poetry editor. Her enthusiasm for the outdoors and nature writing is reflected in the many workshops she tutors and in her work. She was the first Writer-in-Residence at Brantwood, former home of John Ruskin and also at Swarthmoor Hall, Ulverston, Cumbria, Birthplace of Quakerism. Part of the day will be spent outdoors so please bring waterproof clothing and sturdy walking boots. Tea and coffee will be provided at the indoor venue but please bring lunch and drinks to take with you to the nature reserve. Don’t forget a notebook and pen. Booking is required, please email: mail@cumbriawildlifetrust.org.uk or call 01539 816300 to reserve your place. This is a free event although a donation of £10.00 to Cumbria Wildlife Trust would be appreciated. We meet at Mungrisdale Village Hall at 10am for welcome, introduction and refreshments. Most of the day will be spent on the Nature Reserve at Eycott Hill, followed by writing time in the Village Hall - plus more refreshments! Please bring your own lunch and wear waterproof footwear and clothing. and also here Pleased to meet you! March 24th - meet at Jane’s, spend part of the day at Kitridding Farm, then return to Jane’s. With thanks to Stuart of Kitridding Farm, who told me that anyone who wants a quad bike ride is welcome! Lunch at Kitridding Farm. June 16th - this workshop will be held at South Walney Nature Reserve, with thanks to Sarah Dalrymple of Cumbria Wildlife Trust who suggested it. September 29th - this workshop will also be held at Cumbria Wildlife Trust’s South Walney Nature Reserve and will include a Saturday/Sunday stopover at the Coastguard Cottage on the nature reserve. Anyone wishing to come for the day is welcome. Those who’d like to book a place in the cottage, which sleeps five, please let me know asap as places in the cottage are limited. Anyone wishing to camp or sleep in their camper van are most welcome. Reserve Warden, Sarah Dalrymple, tells me that there’s space to camp in the cottage garden or you’re welcome to park your van in the reserve’s car park. Booking is through Geraldine Green. Please note: Residential cost for this workshop to be confirmed. 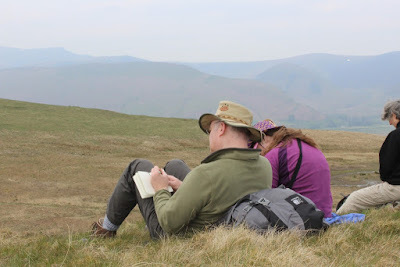 April 6th, Friday: Write in Nature, at Eycott Hill, Cumbria Wildlife Trust Nature Reserve, near Mungrisdale, north Cumbria. After the success of two, full day workshops in 2016 I’ve again been invited by Jody Ferguson of CWT to run another. Thanks Jody. This event is free, although a donation of £10 to CWT would be welcome. June 22nd-24th, Friday-Sunday: Midsummer Poetry Course, Brantwood: Residential poetry weekend with co-tutors Pippa Little and Geraldine Green. 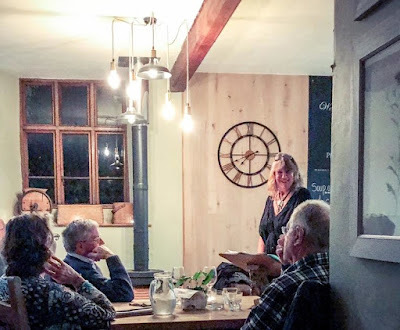 November 1st, Thursday: Poetry Evening, Open Mic and Supper, Brantwood, Coniston: Looking forward to hosting this event and reading alongside Helen Mort, Graham Mort and Kerry Darbishire. Eight open mic slots available - book early! - 2 booked, 6 to go! Looking forward to seeing you at one or more of the above events. Come and join us! and write with us on the farm. A wonderful upland farm set between the Lakes and the Dales 10.30AM-4.30PM £35 incl. refreshments. Please bring your own lunch, waterproof footwear and clothing as part of the afternoon session takes place outside. An experienced creative writing tutor and mentor, I’ve had two full collections of poetry published, with a third due out in 2018; gained a PhD in Creative Writing titled: “An Exploration of Identity and Environment through Poetry” from Lancaster University and been widely anthologized. Workshops take place in Cumbria at Jane’s farm, near Kirkby Lonsdale, 10.30am to 4.30pm.